Your search found 3 image(s) of leaves of Goodyera species. 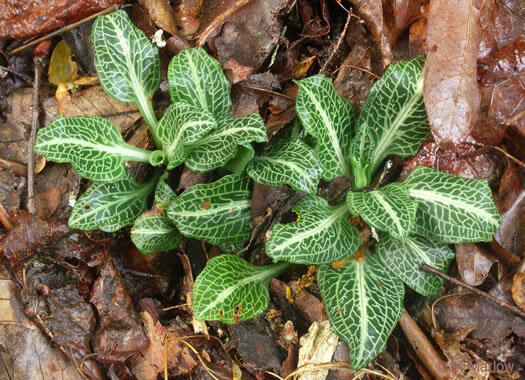 Leaves evergreen, ovate, bluish-green, in a basal rosette, per Wildflowers of Tennessee, the Ohio Valley, and the Southern Appalachians. 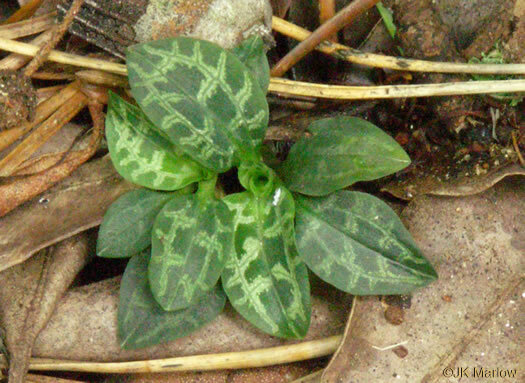 Leaves with a broad white stripe in center and a network of white veins, per Wildflowers of Tennessee, the Ohio Valley, and the Southern Appalachians. 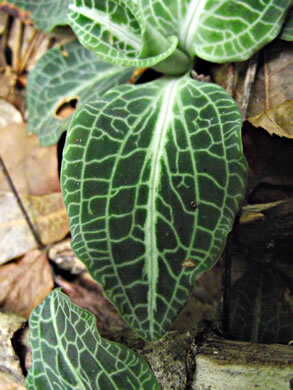 Leaves green, with relatively faint white veins and no broad white stripe, per Wildflowers of Tennessee, the Ohio Valley, and the Southern Appalachians.